We’ve done a seven episodes exploring original films noir, so it is high time we take a look at a modern film that was influenced by noir. 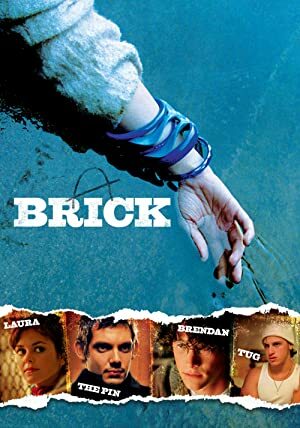 Join us for a viewing of Rian Johnson’s directorial debut, Brick! We highly recommend you watch the film before listening to the episode, because we spoil the ending and a lot of the fun bits. The film can currently be found for rental on iTunes, Vudu, Amazon Instant, Google Play, and YouTube. Our next episode will be returning to old school noir with a bit of Alfred Hitchcock: Shadow of a Doubt! Listen for it on September 21st! Plot: A teenage loner pushes his way into the underworld of a high school crime ring to investigate the disappearance of his ex-girlfriend.